Peter Robinson is Professor of Linguistics and Second Language Acquisition in the Department of English, Aoyama Gakuin University, Tokyo. His research is into such issues as task-based language learning, the structure of aptitudes for instructed learning, and the role of attention and awareness during implicit and explicit learning. His books include Cognition and Second Language Instruction (2001), Individual Differences and Instructed Language Learning (2002), The Handbook of Cognitive Linguistics and Second Language Acquisition (with Nick Ellis) (2008), and the Routledge Encyclopedia of Second Language Acquisition (to appear, 2012). 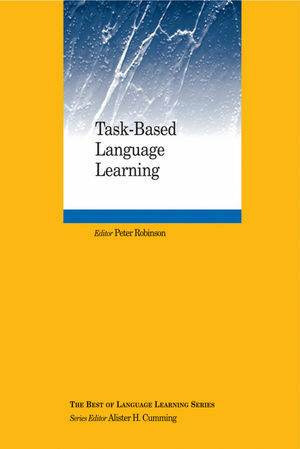 Task Design and Second Language Performance: The Effect of Narrative Type on Learner Output (Parveneh Tavokli & Pauline Foster ) (from 58:2, 439-473, 2008). Creativity and Narrative Task Performance: An Exploratory Study Agnes (Albert & Judit Kormos) (from 54:2, 277-310, 2004). The Role of Task-Induced Involvement and Learner Proficiency in L2 Vocabulary Acquisition (YouJin Kim )(from 58:2, 285-325, 2008). Teacher- and Learner-Led Discourse in Task-Based Grammar Instruction: Providing Procedural Assistance for Morphosyntactic Development (Paul Toth) (from 58:2, 237-283, 2008). Task-Based Interactions in Classroom and Laboratory Settings Susan Gass, (Alison Mackey & Lauren Ross-Feldman) (from 55:4, 575-611, 2005).